I saw a tweet a few days ago on Twitter I should have taken a screenshot of! The tweet talked about how worksheets should be used as a form of punishment. I love that! The tweet reminded me of a math resource I have shared with teachers in the past - The Math Learning Center. The Geoboard app is always a favorite of mine! As a 2nd grade teacher, rubber bands would end up in the air or broken when we used the geoboards to explore geometry. 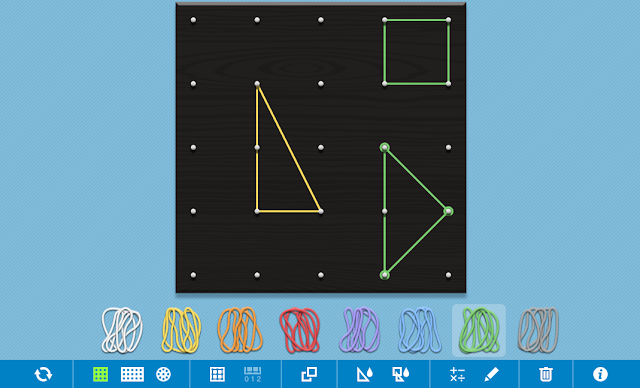 With the Geoboard app, you don't have to worry about rubber bands. 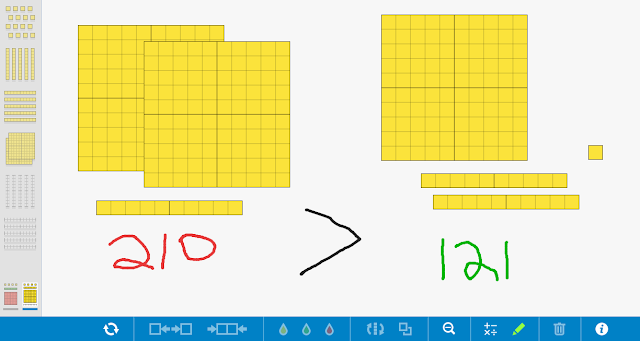 The Number Pieces app provides the students with a board to construct, deconstruct, and compare numbers. These are just two of the 10 apps available. Have you used The Math Learning Center in your classroom? Which app do your students enjoy? How have you used them in the classroom?